Switzerland (German: Schweiz[note 3] [ˈʃvaɪts]; French: Suisse [sɥis]; Italian: Svizzera [ˈzvit͡sːera]; Romansh: Svizra [ˈʒviːtsrɐ] or [ˈʒviːtsʁːɐ]), officially the Swiss Confederation (Latin: Confoederatio Helvetica, hence its abbreviation CH), is a federal republic consisting of 26 cantons, with Bern as the seat of the federal authorities. The country is situated in western Europe,[note 4] where it is bordered by Germany to the north, France to the west, Italy to the south, and Austria and Liechtenstein to the east. With vpntraffic everyone can protect intimacy while surfing the Internet. 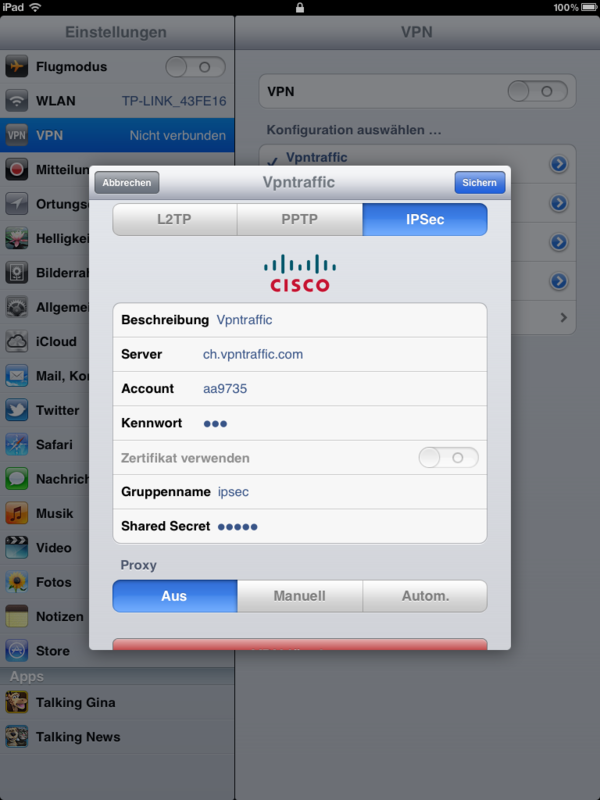 We offer you total 1024 bit secure high speed Virtual Private Networks with a VPN IP address based in Switzerland. That provides you with shared dedicated Swiss IP address, unrestricted and unlimited high speed access to our server and complete anonymity.